Exactly one year ago, AHG launched its Respect Life Patch, affirming its support of all life and the importance of caring for all God’s children. Since then, the Patch has sold quicker than any other badge or patch in AHG’s nearly twenty- year history. The sales tell the story, AHG supports life and so does its members. As a Christ centered ministry, AHG loves the things Christ loves. He loved His Father who gave Him life. He loved the sick, the poor, the disabled, the deformed, the mentally ill, the demon possessed, the disfigured, the elderly, the newborn, the prostitute, the tax collector and those that followed and believed in His divinity. He taught His disciples to do the same. His message of love for all continues today as His followers, through the power of the Holy Spirit, toil to love His children despite their sin. God, the Creator, gives each of us life. According to Holy Scripture, God loved us so, that He even made us in His own image. The prophet Jeremiah affirms God’s love affair with us before our conception: “Before I formed you in the womb I knew you, before you were born I set you apart; I appointed you as a prophet to the nations." Faith in Christ requires a Faith in God, the Father who gave Jesus life. Faith in God requires respect for His sovereignty and His righteousness. January 22, 1973, the United States Supreme Court approved the ability for women to have the right to stop the work of the Creator, a work that women did not begin, according to Scripture. Many AHG Families across the country will hold this day as a “Day of Prayer for the Legal Protection of the Unborn”. In addition to the precious, innocent unborn lives, let us not forget to pray for the protection of those who live with chronic illness, the disabled, the elderly, and all of those who have been marginalized by society. 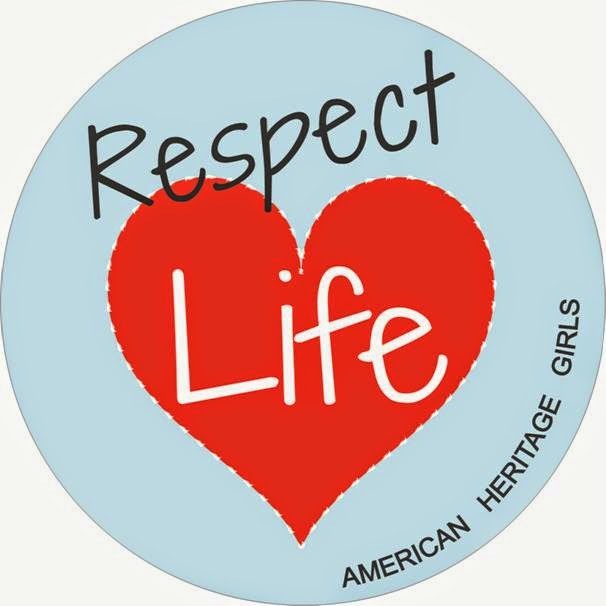 When AHG announced the Respect Life Patch, most applauded the initiative. Others (most from outside the AHG family and mainly media) shared messages of disgust citing AHG’s “political” bent. To me, standing for life is not a political issue but rather a God-issue. All life is valuable to Him. And if we, as a ministry, purport to love Him and follow Him, life must be valuable to us as well. And we need to teach our daughters this most important lesson. Thanks for taking a stand for LIFE! 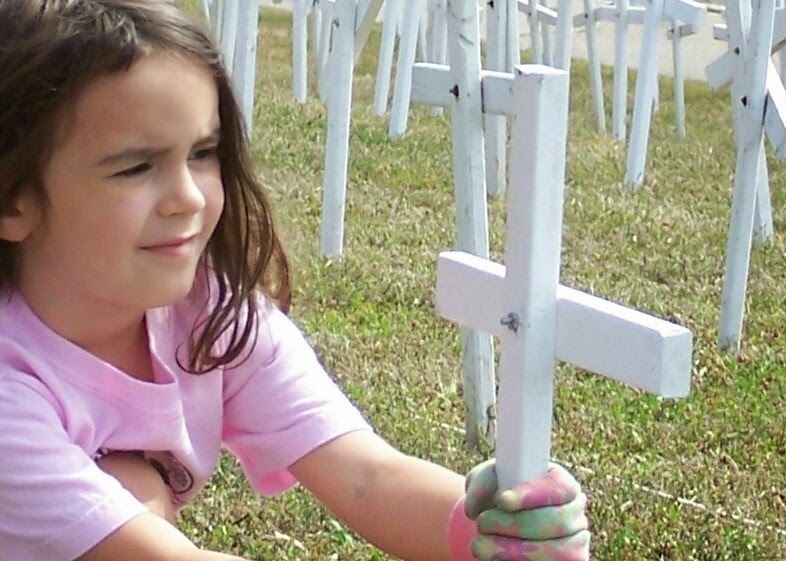 May God raise up a generation truly broken over our nation's sin, thanks for leading courageously. Thank you AHG for publicly taking this stance and teaching respect for life.